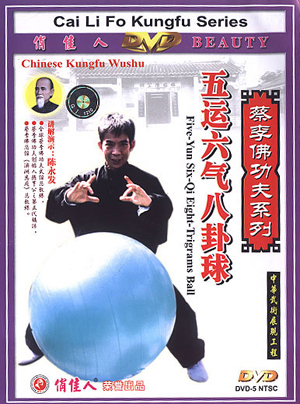 Choy Li Fut Kung Fu (or Choy Lay Fat / Cai Li Fo) is a traditional Shaolin Martial Art System that combines the agile footwork of Northern Chinese Martial Arts with the intricate Southern Hand Techniques. It includes elements of the five animals - Tiger, Dragon, Crane, Leopard, and Snake - and contains a wide variety of techniques, including long and short range punches, kicks, sweeps, takedowns and pressure point attacks. 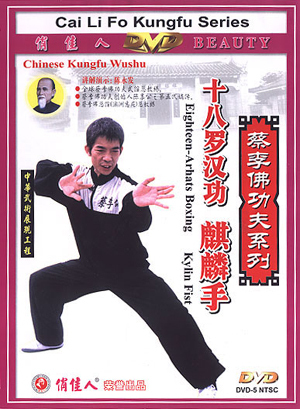 Take a look at our wide range of Choy Li Fut DVDs and Books. Cheng Yongfa is the president of the Globe Cai Lifo Kungfu Club,the 5-th generation kins disciple of Chen Xiangong who is the founder of Cai Lifo Kungfu,the general coach in General Cai Lifo Kungfu Club(Sydney of Australia). Cai Lifo Kungfu is a main style of Nan Boxing,created on the basis of Shaolin Kungfu by Chen Xiangong who was born in Xinhui of Guangdong in the beginning of 19th century.it is popular in the Southeast Asia and American-European.Cheng Yongfa has over 4,000 wushu clubs overseas,more than 300,000 practitioners and over 190 series of authentic works about fist,spear,cudgel and sword. Click picture for price info and to buy. 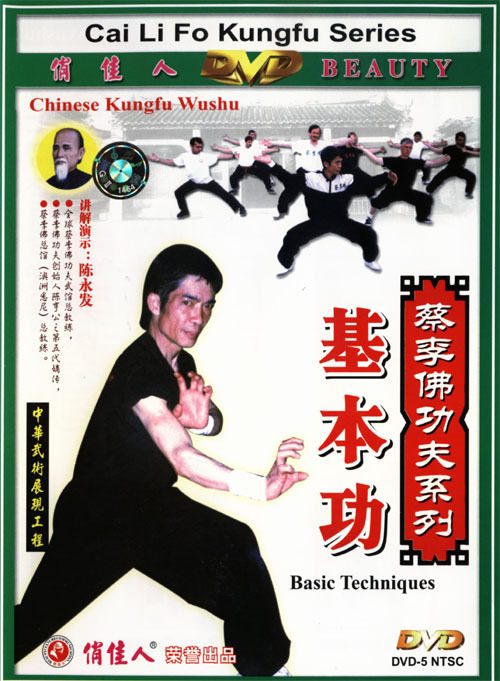 This DVD teaches an 18 section intermediate form that emphasizes whip punches, powerful movements, dragon hands, and spinning backfists. 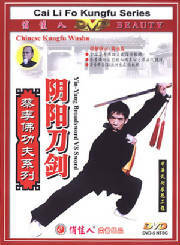 This DVD is taught in seminar format by Cheng Yongfa, 5th generation disciple of the founder of Choy Li Fut. Cai Lifo Kungfu is a main style of Nan Boxing,created on the basis of Shaolin Kungfu by Chen Xiangong who was born in Xinhui of Guangdong in the beginning of 19th century.it is popular in the Southeast Asia and American-European.Cheng Yongfa has over 4,000 wushu clubs overseas,more than 300,000 practitioners and over 190 series of authentic works about fist,spear,cudgel and sword. Cai Lifo Kungfu is a main style of Nan Boxing,created on the basis of Shaolin Kungfu by Chen Xiangong who was born in Xinhui of Guangdong in the beginning of 19th century.it is popular in the Southeast Asia and American-European.Cheng Yongfa has over 4,000 wushu clubs overseas,more than 300,000 practitioners and over 190 series of authentic works about fist,spear,cudgel and sword. Click picture for more info. E - BOOKS from the Shaolin online library!